What if you could be happy and content with your life – all the time? 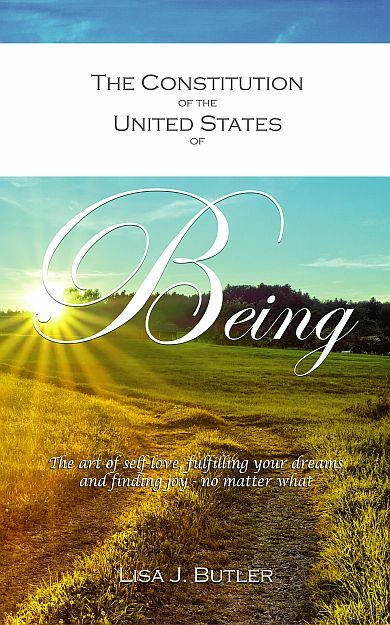 The Constitution of the United States of Being (CUSB) focuses on a set of beautiful, divinely inspired statements for living life in joy, freedom and deep connection with our Self and others. When the author was inspired to write the statements in 1998, she began to realise that regardless of what was going on around her, there was a gentle and loving way she could maintain a sense of peace and joy in her life. Now a Life, Career & Motivational Coach, this book has been written to share her discoveries with you, so that regardless of what is going on in or around your life, you too can be authentically, deeply happy and at peace within. No matter what you may be going through, what past experiences haunt you or what may be holding you back from reaching for your dreams, this book will leave you feeling inspired and excited about your life. You are a beautiful, creative and precious aspect of God-Love and you deserve to feel joyful and free. Now you can. Available internationally in paperback and eBook from Amazon.com or contact Lisa Butler from within Australia to purchase your paperback copy signed by the author. Contact Lisa to order your signed copy of the CUSB!